When sophisticated customers of DOM restaurant in Sao Paulo Brazil eat their exotic desserts made with Dona Nena’s chocolate, they are not able to realize the astonishing sequence of management of ideas, resources, and people mobilized for it to reach their tables. Before going further with this matter, it is important to say that, to celebrate the 15 years of life and seven years Blog, after a long history of generating ideas in the Blemya decided to get out of the office and go to the field to search a beautiful job of talent, of people and of science – the history of chocolate and cupulates of Dona Nenas, from the island of Combu. Along with Pernod Ricard team of mixologists, we created the Tembi-u project (from neologic Guarani "tembi'uapokuaa" which literally means "knowledge or science of making food"), with the aim of bringing Brazilian culture elements of excellence to bartending society and world cuisine. To get the facilities of Dona Nena, we start from Belém (estate of Para, Brazil) towards Combu Island, by the river Guamá, three kilometers via “voadeiras”, a typical vessel in the Amazon basin. It was only in 2006 that Dona Izete dos Santos Costa (Dona Nena), which use to sell objects made out of the fruit of the cocoa, called biojewels, decided to sell an old family recipe of chocolate and “brigadeiros” (Brazilian delicacy made with chocolate and milk jam) in Batista Campos Square in Belém PA.
Everything was going well, but one problem led Dona Nena to have the first of many good ideas. Cocoa beans used to make the brigadeiro was ground in a pylon, in a laborious and tiring method. When thinking of something that would grind with less effort, she found in meat grinder a viable alternative, it not only offered less work to do the recipes but also found that the quality of dough had improved a consistently. She realized that the grain was thinner and the process had become more hygienic, beyond what, she managed to have an uniform dough without adding sugar, creating a 100% cocoa chocolate formula. 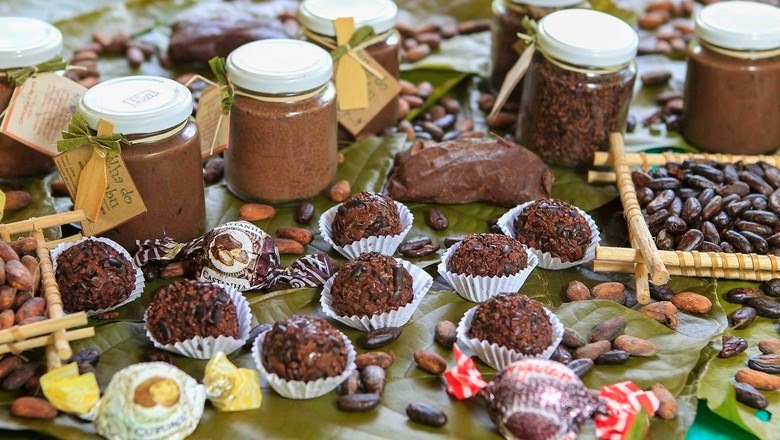 She did not stop there, she had also developed the so-called 'Cupulate' bars and brigadeiros made not with cocoa dough, but with the mucilage from cupuaçu. The result is a delicious dessert, rich in amino acids even sweeter than chocolate and less bitter. Even the fructification of cocoa and cupuassu had scientific interference, in order to respect the environment. 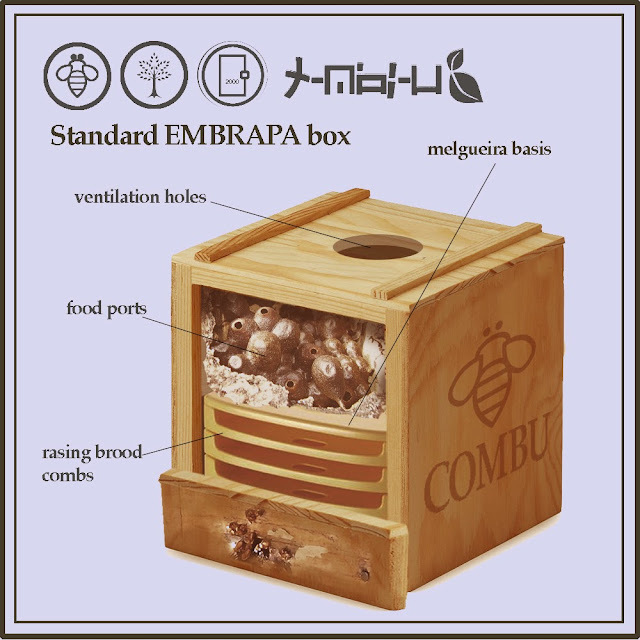 Dona Nena added to its already large repertoire of innovations “the beekeeping”, in a joint project with Embrapa (Brazilian Agricultural Research Corporation), Eastern Amazon and Federal University of Pará, the resources came from a financing of CNPq. 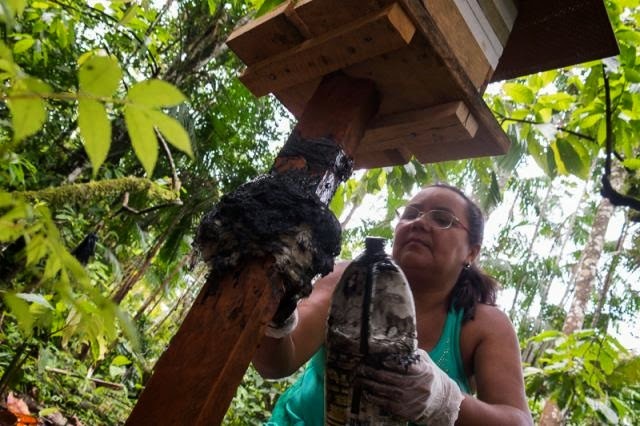 Five boxes of stingless bees of yellow uruçu species (Melipona flavolineata) have been installed on the property of Dona Nena, on the island of the Combu. 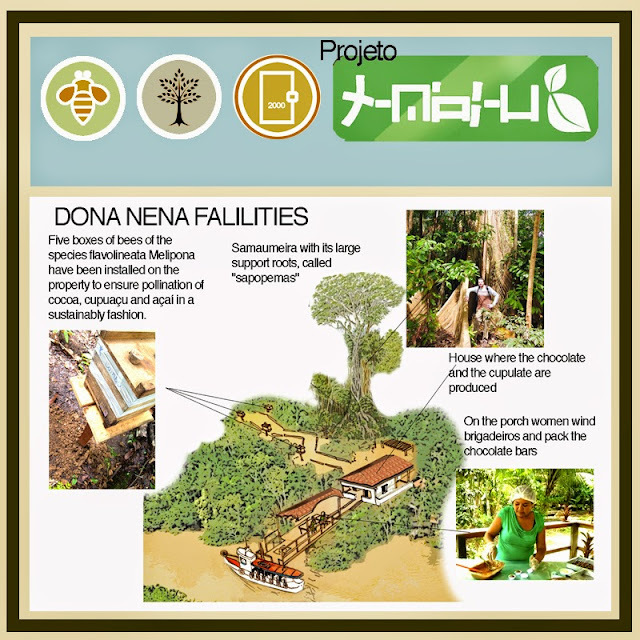 Besides the spread of beekeeping and the resulting environmental education, these initiatives change for the better the lives of the local population around Dona Nena, "not only these bees pollinate cocoa and cupuaçu" she says, "but also help in fructification of another important source of income here on the island, the açai ". According to the researcher Cristiano Menezes, the goal is to enable the producer in the management of stingless bees techniques and demonstrate the results for the other residents of the island, in order to attract them to the activity. 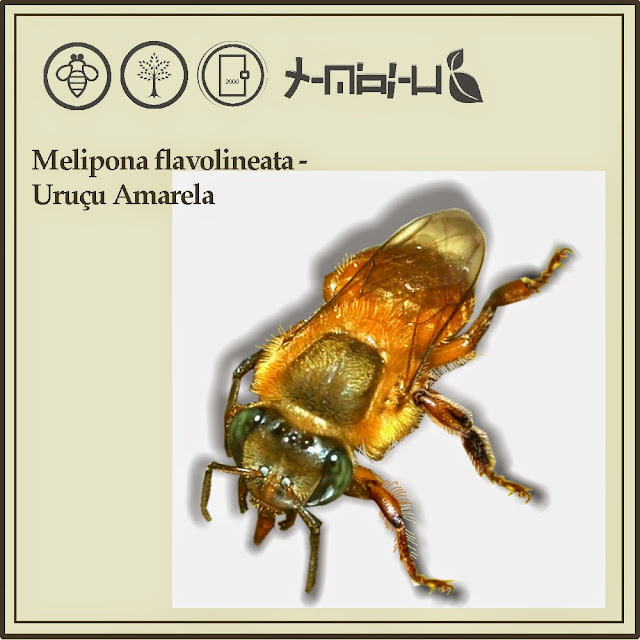 In addition to the pollination of fruit trees such as açaí, the uruçu yellow bees produce honey that can be exploited as a source of income. The next steps will involve visits to demonstrate the techniques of artificial feeding insects. "As this time of year honey production is reduced due to the low amount of available flowers, bees require supplementary feeding," explained researcher Cristiano Menezes. With the end of the rainy season, the blooms intensify and bees return to produce honey. 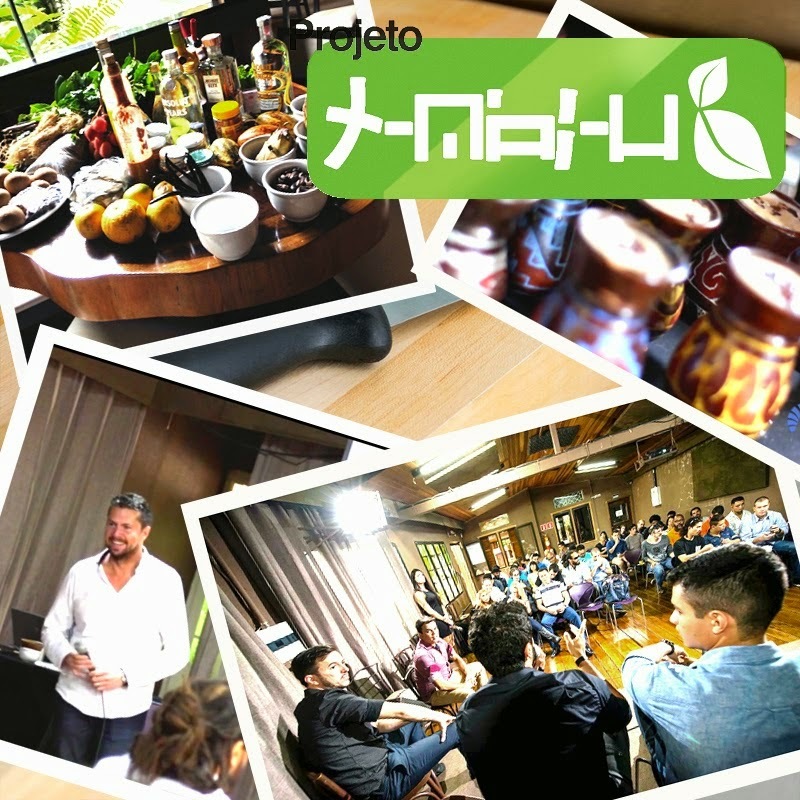 Porjeto Tembi-u and Blemya intend this actions to be the beginning of a series of others activities for valuation of people and their cultures, into viable and sustainable economic projects.